Topographical Land Surveys are the measure of land – it’s the first part of development for your project. Having a survey done is the beginning of the planning stage of your project will save you time and money as it clearly identifies any issues or problem you may impact before the project commences. Housing development from individual plots to large scale land development. Engineering designs from road development to reservoir design. Surveys for land registry submission and conveyance. Plans for designers and architects. River sections/long sections for flood risk assessment. The details of a topographical site survey can vary; it really depends on the client’s specification. This can range from a basic boundary survey right through to a detailed road survey which would include levels taken every 2 metres, road markings and providing Digital Terrain Models (DTM’s) to assist engineers, planners and architects design the project. Our topographical surveys include the full detail of level information. This is what is used to determine floor slab levels, the maximum height of a building, road and landscaping alignment for a building. We also collect drainage information, utilities information as wells all the information you need to submit the plans to the Land Registry for title deeds when your project is completed. 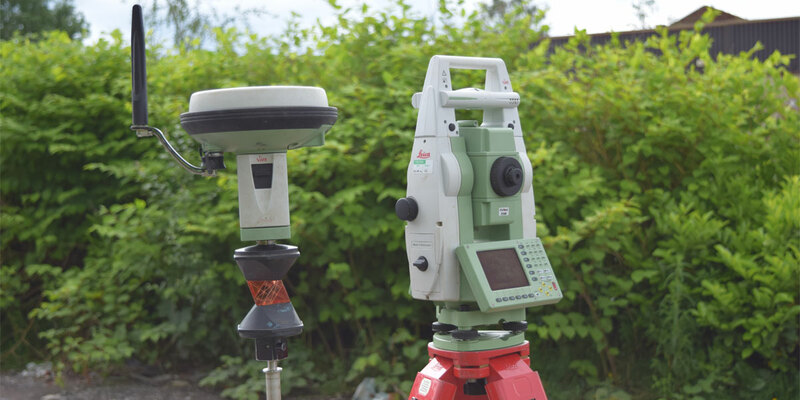 We use the latest technology for all our surveys, including Robotic Total Stations and GPS/Glonass equipped instruments. The surveys can be related to Ordnance Datum & National Grid Coordinates to enable Ordnance Survey digital backcloths be used which show further surrounding detail. CAD drawings and plans can be issued in either digital or hard copy formats. We understand the importance of being able to open and start work immediately on the drawing; layer structuring with the drawing can be adjusted to suit client’s specifications.